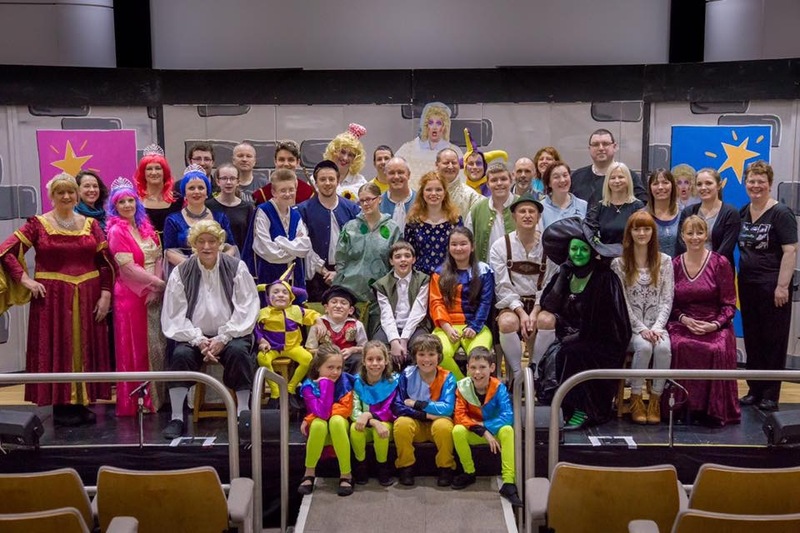 The Princess & The Peastalk was performed on Wednesday 24th, Friday 25th and Saturday 26th February 2016. The show told the story of Princess Lily, who interrupted a royal birthday party when she got lost in the forest in the rain. 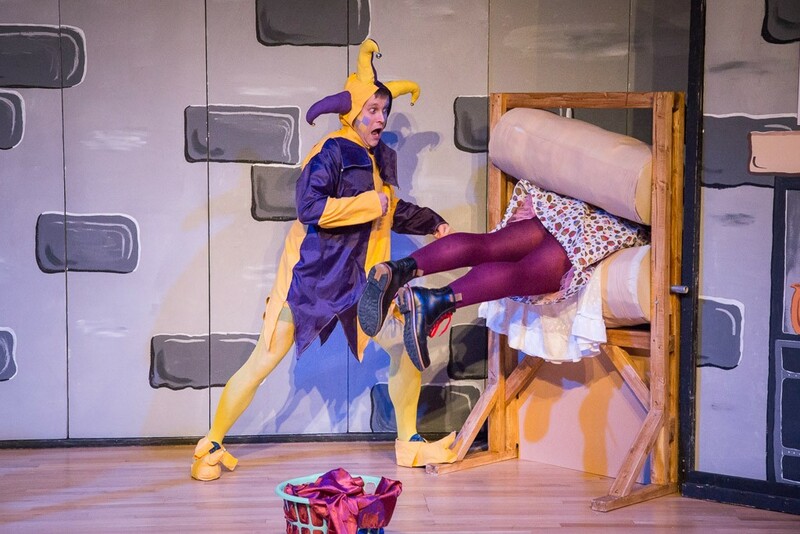 No one believed she was a real Princess so the traditional method of testing her tale – placing a pea under several mattresses was attempted! 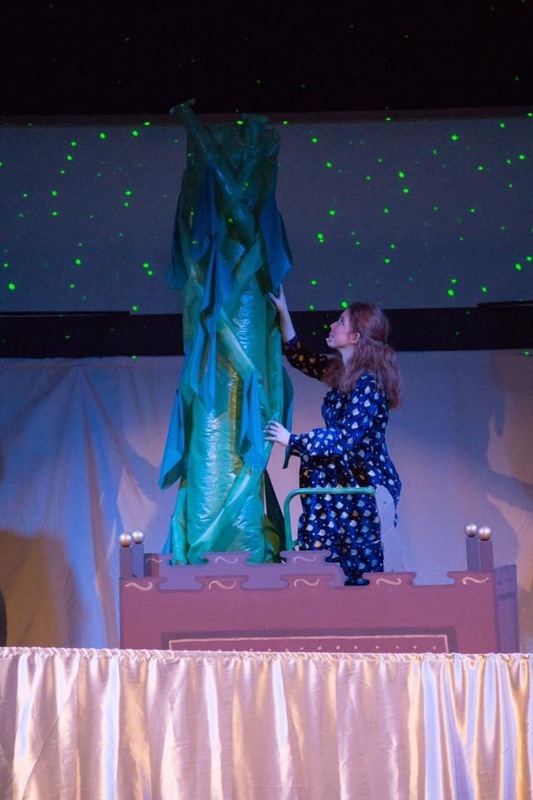 However, things took a stranger turn when the pea magically grew into what can only be described as a “peastalk” – like a beanstalk but with peas on it! Like Jack before her, this could only mean one thing for Lily – time to start climbing! In Peastalkland she encountered some very strange pea-ple as well as the wicked Witch Way, who had been responsible for Lily’s downfall in the first place by stealing her crown and cloak. Re-united with her royal belongings, Lily found her way back down the peastalk, with the help of her suitor Prince Bertie. This did not impress the other Princesses – Dolly, Molly and Polly – who had also hoped to marry the Prince, competing for his hand in marriage in the Royal version of Barnwodia’s Got Talent. However, they found solace with a group of Prince Bertie’s friends and went on to forge a successful singing career, with everyone living happily ever after! The profits from the show were donated to BADCo’s 2016 Charities, The MPS Society and The Restricted Growth Association. Princess Lily (Lucy Holman) climbing the Peastalk! 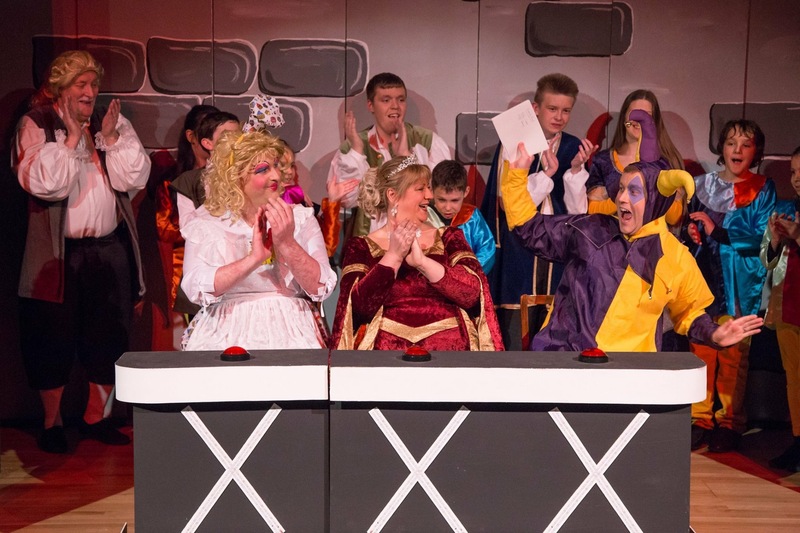 Madeira the Cook (Bill Handley), Her Majesty the Queen (Dawn Osborne) and The Royal Court Jester (Doug Brown) judging Barnwodia’s Got Talent!